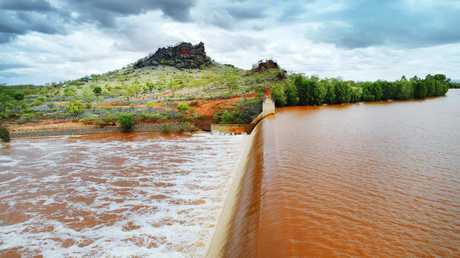 FARMERS have welcomed a report identifying key irrigation projects which could provide a $5.3 billion boost to the Queensland economy, but locals warn dams are usually little more than mirages on the federal election campaign landscape. 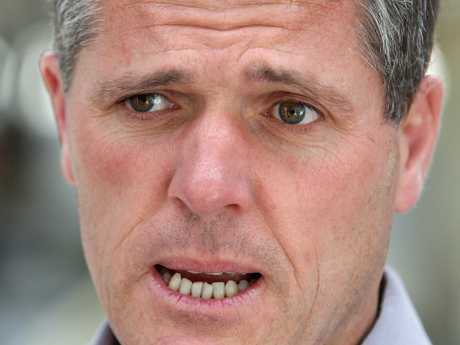 "I won't believe it until I hear a D-9 bulldozer firing up,'' said Robbie Katter, the state member for the far northwest seat of Traeger, which would benefit enormously from the projects. The CSIRO report found up to four dams could be built in the Mitchell catchment which flows from Mareeba, about 60km west of Cairns, to the Gulf of Carpentaria. AgForce CEO Michael Guerin welcomed the proposal, saying it promised a range of advantages including shoring up the northern cattle industry. "An objective analysis like this from our respected national science agency really drives home just how much potential there is for agriculture to grow and create jobs in far north Queensland," Mr Guerin said. "If these dams went ahead, it would open the door to new cropping opportunities and it would help strengthen the northern cattle industry." But Mr Katter can point to advanced business case studies for at least five irrigation projects from Cloncurry through Hughenden, Hells Gate on the Burdekin, Richmond and Etheridge. None have amounted to anything because of a failure to secure approvals and seed capital, and an absence of political will. "You have to try hard not to be cynical but there are doers and there are talkers in politics,'' Mr Katter said. "If these things are to succeed you will need real aggression from politicians to see it through. 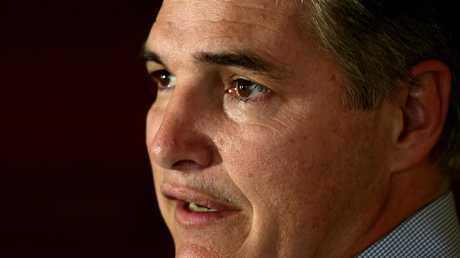 Traeger MP Robbie Katter says an absence of political will has prevented new dams from being built. The Federal Coalition has been talking about dams since early 2013 when then opposition leader Tony Abbott declared Australia should rid itself of "dam phobia''. A draft Coalition discussion paper was released proposing the construction of 100 dams across the country. 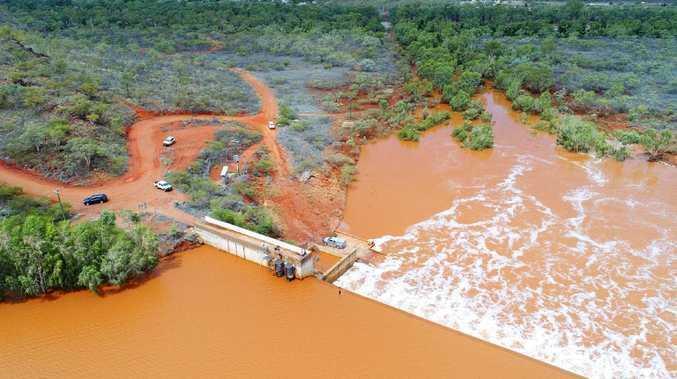 The Coalition then went into the 2016 federal election promising to spend $130 million to build the $350 million Rookwood Weir on the Fitzroy River behind Rockhampton as well as spend $20 million for 14 feasibility studies for new dams across the state. Rookwood remains the subject of a federal/state dispute about funding while other dams, including the proposed Urannah Dam near Proserpine, remain purely theoretical. 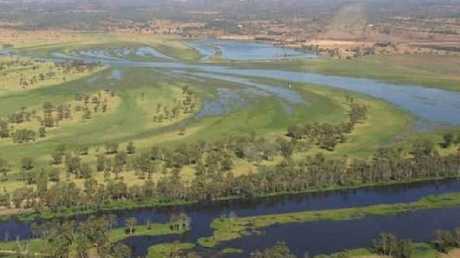 The site of the proposed Rookwood Weir dam near Rockhampton. One Nation Leader Pauline Hanson said there were 405 million hectares of agricultural land in the area where the proposal would be established yet extra water was only proposed for only a fraction of that land. "The only sensible solution to droughtproofing this nation is the Bradfield Scheme, first proposed in 1938,'' Senator Hanson said. Senator Hanson was referring to a scheme proposed by Queensland-born engineer Dr John Bradfield, who designed the Sydney Harbour Bridge and Story Bridge. It suggested redirecting far northern rivers inland, to irrigate the north west. But the scheme has been dismissed by environmentalists as being unscientific. Ms Hanson suggested savings could be found in the $50 billion dollar submarine program to help properly drought proof Australia.